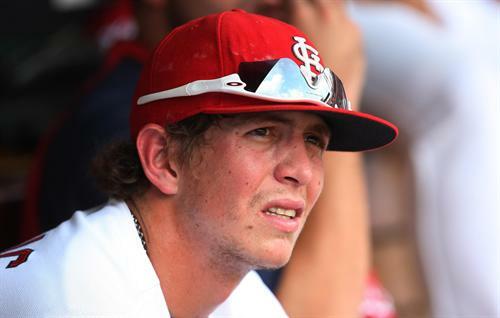 -> Colby Rasmus needs a haircut. No excuses. No delays. Go straight to Hair Jail, Colby dear. -> Yadi’s defense has been bothering me all year. He’s not making throws as crisply as he used to make them, and he hasn’t blocked some pitches that I feel like he should be blocking. It’s a concern. However, he’s batting .320 and has 24 RBI. I find it much harder to be concerned when I am be distracted by that fact. Truth. -> I want to like Tyler Greene. I really do. I just can’t make myself do it. Even when he makes good plays or gets a key hit – my brain flashes to his dropped popups and things of that nature, and I just get irritated. Also, I really don’t like it when Allen Craig starts at second base and then gets subbed for in the later innings, especially by Greene. What are you subbing for – defense? He hasn’t made an error today. Offense? He has one of the best hitting lines on the team. Defense? He has zero errors. As friend of the site Bob Netherton pointed out on twitter yesterday – Craig is no longer a AAAA player. Subbing him out of the game is completely unnecessary. -> Also, I like Craig at second. I really like him there, and I like him in the lineup on a consistent basis. Or Dirty Danny D at second – him too. 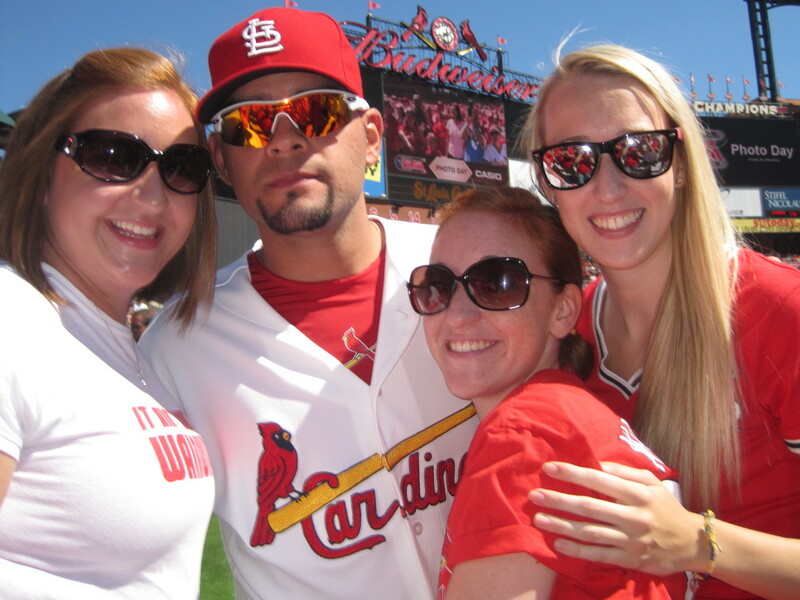 With Holliday going on the DL, do you know who I want as the 4th outfielder behind Rasmus, Berkman, and Jay? Skip. Schumaker. 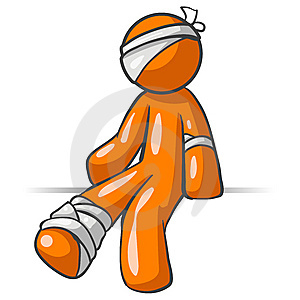 -> I’m concerned about the pitching staff at the moment. In the last six games, no pitcher has made it past six innings, and Lohse is the only one that did that. Westbrook’s last two starts were 5 2/3 and 5. Carpenter’s last one was 5. McClellan? 4. Jaime? 3 1/3. This is not a recipe for success. The reason the team was surviving the low-scoring games was the starting pitching going 7 or 8 innings every night. To top it off, Lance Lynn is starting tonight on three days rest. 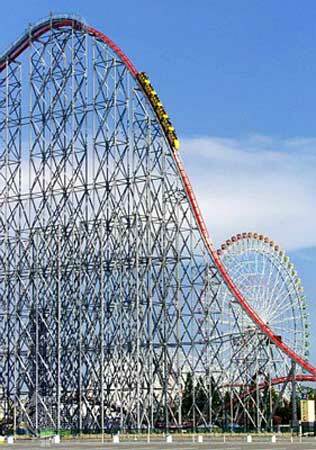 That makes me nervous. I will be seriously pulling for the kid, but I will also be very nervous. 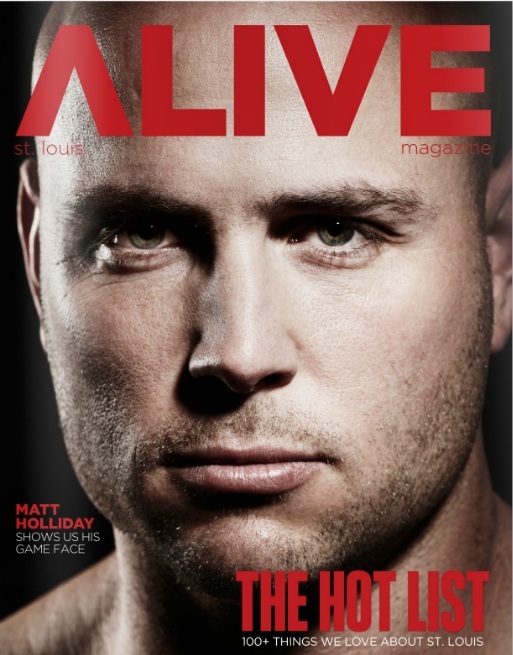 June 2011 cover of Alive magazine... WOW. 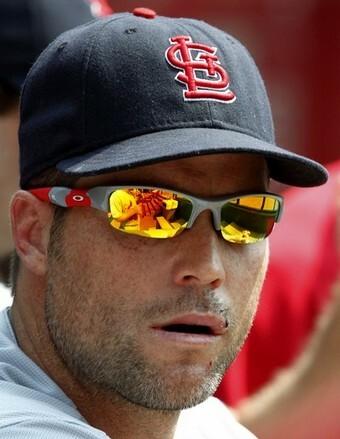 Holliday. Wow. Cards are still playing the Giants? I’m ready for this series to be done! Agree? Disagree? Think I’m a little off my rocker lately? Say so in the comments! I was thinking the other day about a post I did last year about Colby Rasmus and JD Drew. (We randomly still get hits on the site from google using search terms such as “Colby Rasmus Tony LaRussa feud.” Those are my favorite!) 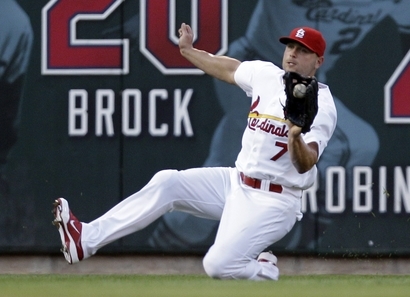 With the Nationals currently in town and Rick Ankiel currently roaming the grass of Busch Stadium, I find myself pondering the centerfield position again. Now, I planned on doing this piece for today over the weekend, having absolutely no idea that the Nationals and Rick Ankiel were about to swing in to town. Now, after Ankiel took out a half-page ad in yesterday’s St. Louis Post-Dispatch, I feel slightly clairvoyant, and a little less original in my deciding to talk about centerfielders. 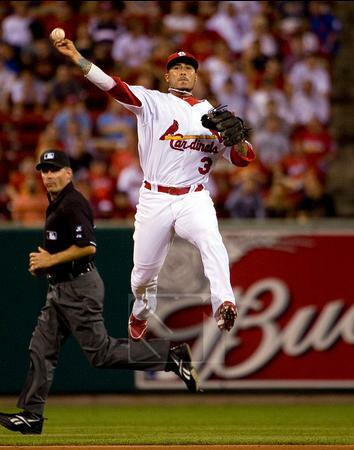 So I’ve been thinking over the past few centerfielders that the Cardinals have had. We’ve had Hollywood. We’ve had the Comeback Kid. Now we have… umm… Colby. I have very fond memories of the man they call Hollywood in Jim Edmonds. He made ridiculous catches, flying over the wall, diving across the grass, and making jaws drop with his latest Sportscenter highlight. People were in awe of his flashy plays. His shelf is full of Gold Gloves, and his reckless abandon with how he played the game will not be forgotten for a long time throughout Cardinal Nation. 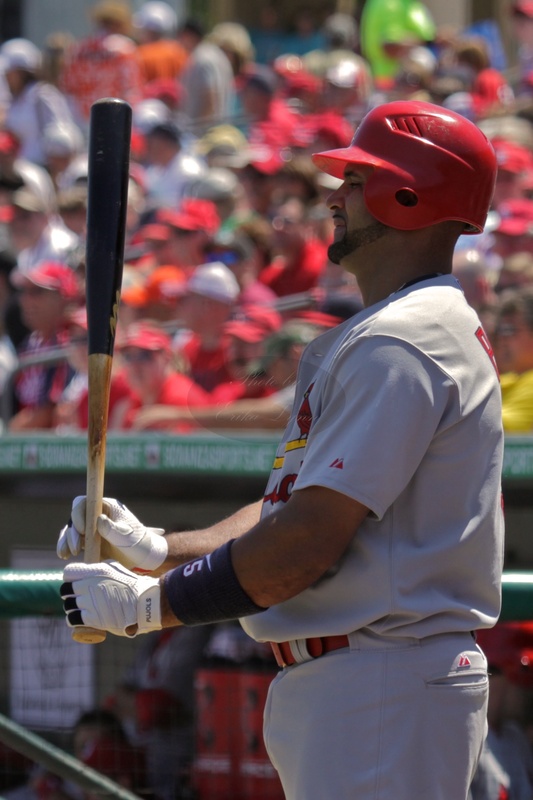 On the offensive side of the ball, Edmonds was a strong presence, hitting in a crucial part of the order, either behind Mark McGwire or behind Albert Pujols. He could hit home runs, work a walk, and strike out like nobody’s business. He was also a clubhouse guy – a cheerleader even. 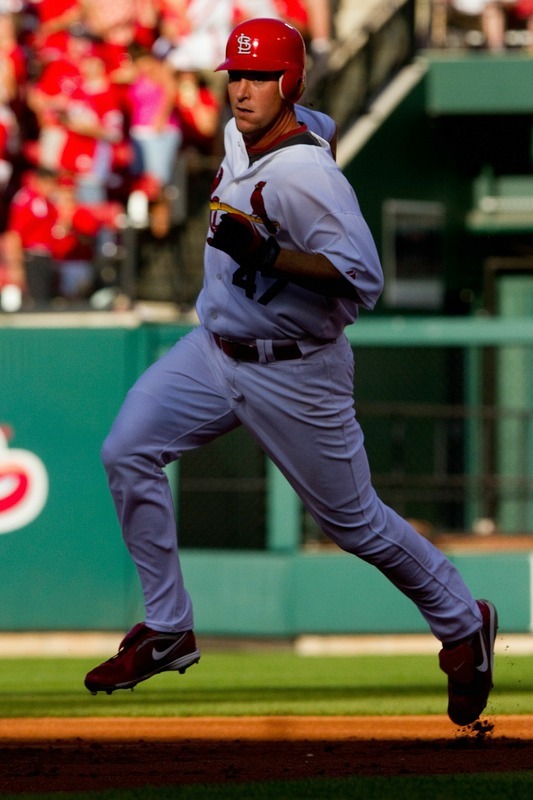 I will never forget the pure joy in his face back in 2004 when he hit the home run to extend NLCS on to game 7. It was a perfect baseball moment. Jimmy brought the joy. When Edmonds left the Cardinals for the greener pastures of Wrigley Field, Miller Park and finally Great American Ballpark (still can’t believe he did all those things), he was replaced by a pitcher. Okay, a former pitcher. Okay, it was Rick the Stick. 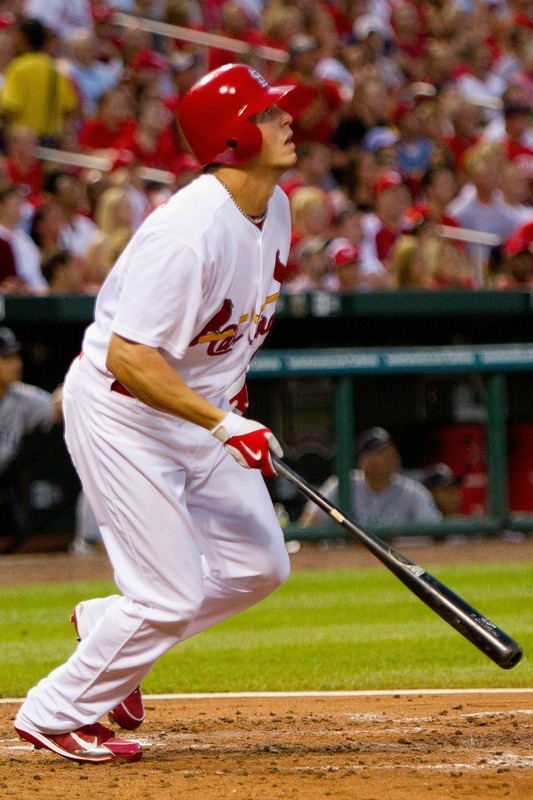 Rick Ankiel was a pitcher, who had a historic collapse in his first postseason appearance in 2000, where he set actual records for wild pitches thrown in a postseason game. He kind of vanished from baseball, and was ready to quit altogether, when he decided to become an outfielder. He battled his way back up through the minors and made an incredible burst back into the majors in 2007, where he hit .285/.328/.535 with 11 home runs over the final third of the season. He was the Comeback Kid in every way. Ankiel was not the defensive prowess that Edmonds was. He made the plays, yes, but by all appearances he did not have the range of an Edmonds. Fox Sports Midwest still loves showing the clips from when he threw out two Rockies baserunners in a game, and we knew he had a cannon of an arm, but there was a difference in his style from the flair that Edmonds had. He had a reckless abandon, something that became abundantly clear when he crashed headfirst into the walls of Busch about two years ago (yes, the video is included in that link, and no, I can’t watch it again). Something Ank wasn’t, however, was a media darling. He was adored by fans, but he was a media pariah. When he left the team at the end of 2009, he deked the scribes waiting for closing statements while the players were cleaning out their stuff and snuck out without saying anything. He wasn’t a big clubhouse guy. He got along with teammates, but wasn’t a leader. 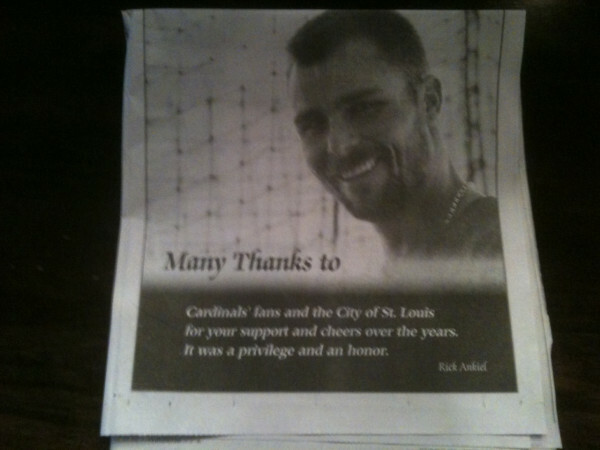 The fact that he put out that half page ad in the P-D completely shocked me (and probably most of Cardinal Nation). It was a classy move from the Comeback Kid. 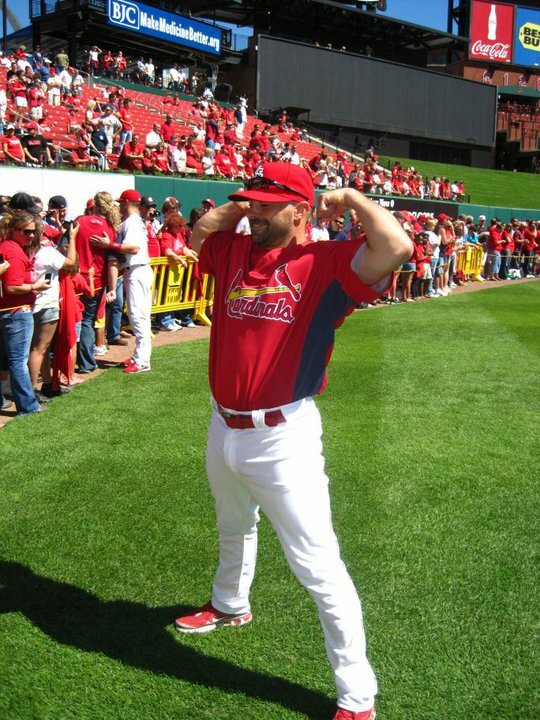 When Ankiel left, it was for greener pastures, and by pastures I mean dollar bills. No matter, people were ready for the next big thing. Colby Rasmus had been the heir apparent centerfielder ever since he was drafted in the first round of the 2005 amateur draft. 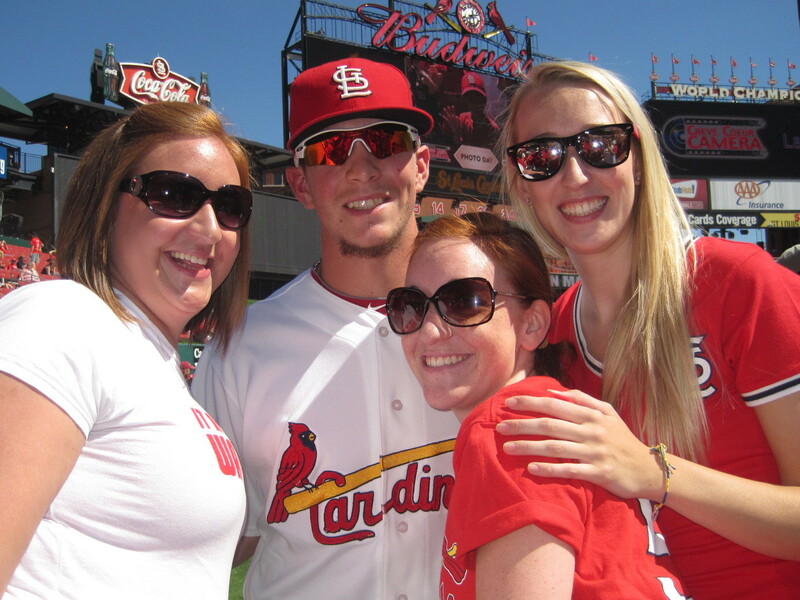 Minor league fans were begging to see him at Busch, and major league fans weren’t always sure what all the fuss was about, but they liked having someone to fuss about. Then Colby made it. He played solid. He kept his head down. He was… blah. We have a blah centerfielder. Don’t get me wrong – he’s good. He’s really good. He’s very quietly leading the team in several offensive categories. While he was at first too anxious at the plate, he is patient now, leading the team with 9 walks. He’s focused on getting on base, putting the ball in play, and getting into a good position to scamper across home plate. He has the most at-bats, hits, and total bases on the team, a welcome relief for the prospect geeks that screamed into the ethers of the internets for Tony to use Colby more consistently. Yet… he’s blah. He’s not the face of the team. He truly doesn’t want to be. He looks scared to death with a microphone in front of his face and most of his quotes sound like a combination between a surfer and a hick. Don’t get me wrong – I’m becoming a bigger Colby fan by the minute right now, but gosh, this kid is just flat out boring! I’m absolutely pulling for him though. He can hide from the media all he wants, and hang out in the shadows. He can be one of the most underrated players on the team. It’s what he wants. Cardinal Nation just doesn’t know what to do with him. I don’t want to talk about the team today. I did plenty of that yesterday over at i70baseball, and everything I said then still stands – the team needs to quit playing at the level of their opponent. Based on the title, you can see I’ve been bouncing around an idea in my head. It started yesterday morning, when I saw that someone (I apologize that I do not remember who or where) had made a statement to the extent of ‘perhaps Colby Rasmus is becoming somewhat of a JD Drew type.’ I almost spilled my cereal because I was upset at just the thought of that. Let me rewind for those of you that need a refresher course: Drew was drafted in the 1st round of the 1997 draft by the Phillies, but did not sign, instead choosing to play in the Northern League for a year (I did not know the whole saga about that – now I do). 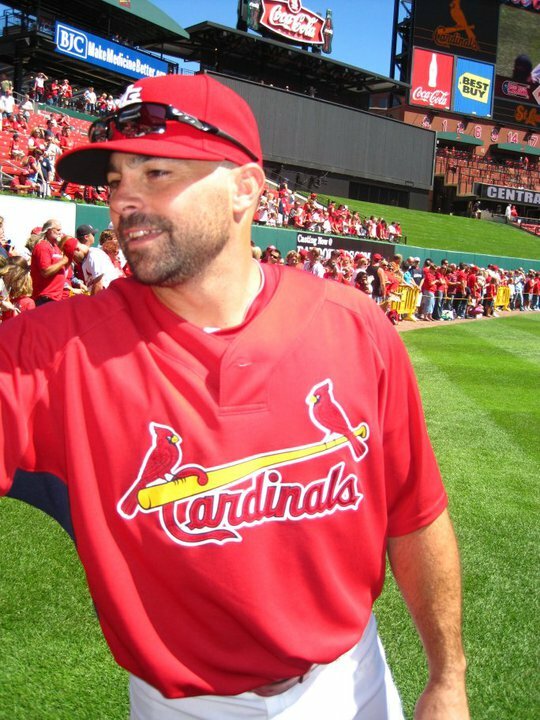 The Cardinals then drafted Drew again in the first round of the 1998 draft, and he did sign (For those that want to know, yes, his agent is Scott Boras). Drew received an insane bonus of $3 million and major league contract worth $7 million. Yes, he did appear to be just that good. Drew spent almost no time in the minors and was already in St. Louis for a September cup of coffee by the end of the ’98 season. In his rookie year of 1999 he was installed as the center fielder and played in 104 games, putting up a good-but-not-great line of .242/.340/.424. He was projected to be a star. He was supposed to be the next big thing. He had a long way to go. His 2000 season showed a climb – playing in 135 games and hitting .295/.401/.479, tossing in 18 HR and 57 RBI just for good measure. His next three seasons are where it starts to get painful for me. 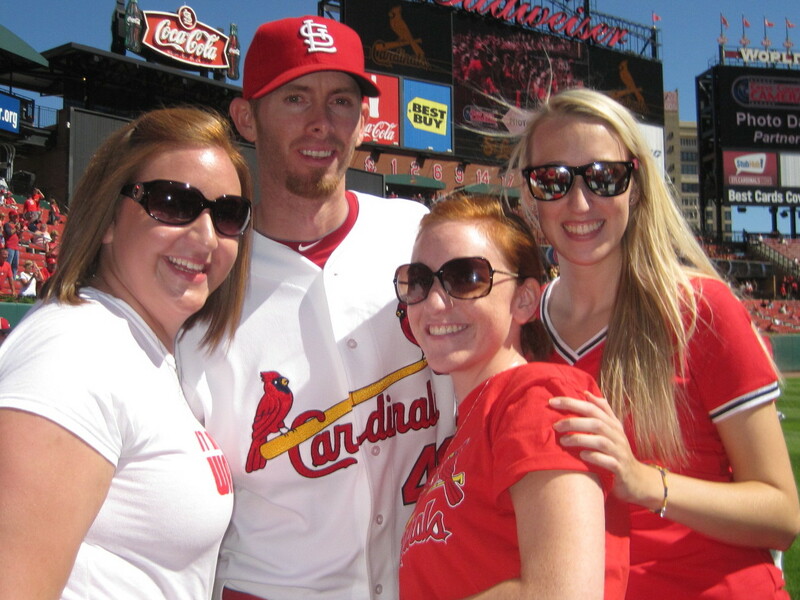 Drew did not go a full year in St. Louis without landing on the disabled list for one reason or another. Leg, arm, shoulder, whatever… he had it, and it wasn’t working the way it was supposed to. 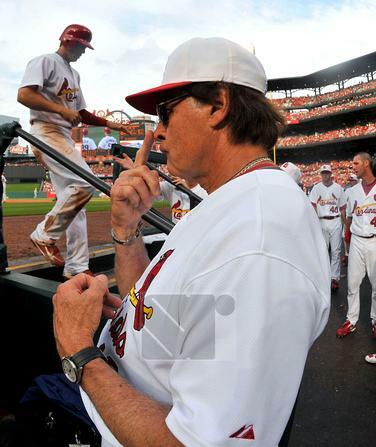 Eventually Tony LaRussa quit making excuses and started saying what he really thought. In the book Three Nights in August, Tony is quoted as saying that Drew decided to “settle for 75%” of his talent. Fans turned on Drew, referring to him as ‘Nancy Drew,’ ‘DL Drew’ or ‘AH (Always Hurt) Drew.’ Ouch. 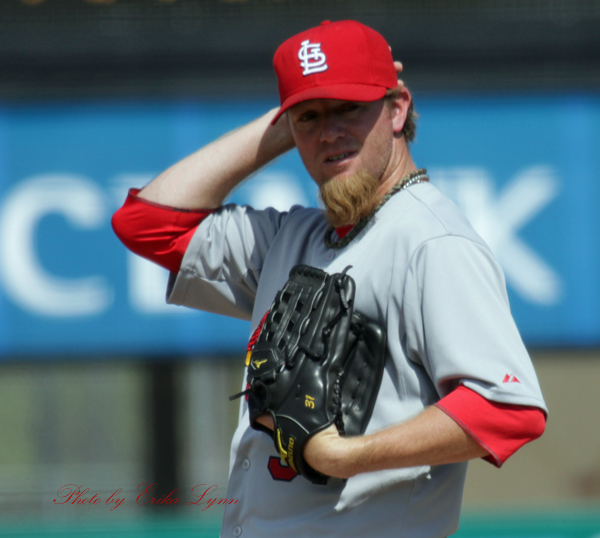 After the 2003 season the Cardinals sent Drew (along with Eli Marrero) packing to Atlanta, in exchange for Jason Marquis, Ray King, and some skinny minor league pitcher named Adam Wainwright (Think the Cards won that deal?). This was the first deal I remember vividly, and I was absolutely excited. Drew is the first player I really just did not like. Support? Yes, I supported him. He wore the birds on the bat. But like Todd Wellemeyer in 2009, I just did not like him. He copped an attitude, was always injured, and just never played up to that star potential, at least not while he was in St. Louis. I spent all of middle school and some of my high school years as well just disliking everything about JD Drew. I don’t want Colby Rasmus to be JD Drew redux. If it wasn’t obvious before yesterday that Colby and LaRussa just do not get along, it is crystal clear now. On his radio show yesterday morning, LaRussa stated that Colby needs to do more than show up – he has to play well. He is streaky, gets homer happy, and sometimes does not play smart baseball. In the same hour TLR made a comparison to Jon Jay, noting that Jay positions himself better in the outfield, takes better routes to the ball, adjusts better to pitchers adjusting to him, and despite Rasmus having better raw talent, Jay is farther along in playing all aspects of the game. I’m not talking about Jay here, so move past that. Tony is obviously frustrated with Rasmus right now, so much so that after originally listing him in the lineup for yesterday’s game, he changed his mind and pulled Colby out, instead shifting Jay over to center, moving Skip Schumaker into right and dropping Aaron Miles in at second. At first when I found out about the switch I had thought it was that Colby was just not quite ready to play yet from his injured calf that has been bothering him for the better part of the last two weeks. It was then passed through Twitter by Matthew Leach and Joe Strauss (among others) that the switch was made because of a manager’s decision. Yikes. That is not a good sign for the young (okay fine, he’s the same age as me) center fielder. Now my wheels are spinning. Over the course of two hours, I pondered every possible excuse I could for Colby, then promptly blew holes in every one of them. I didn’t want to, but it happened. Colby spent three+ full years in the minors. For a potential star, that is not too small of a number. If he was that good, three years isn’t horrible. However, no college baseball. There’s a big jump from high school to the majors. Could a player make that jump in three years? Sure. He obviously did. But LaRussa states over and over again that teaching doesn’t happen at the major league level, and Colby seems to still need a bit of training sometimes. Colby has the skills. His home runs go a long way (I saw his 483′ bomb in Kansas City first hand – ridiculously far), he’s quick on the bases (yet doesn’t steal… WHY?! ), he makes some nice catches in the outfield… and he strikes out a lot, has been caught stealing one third of the time, and is currently running in the negatives on zone rating in the outfield. Colby is a team… okay I can’t even finish that one. I don’t think he is a team player. I’m starting to feel like he cops an attitude. I understand being frustrated, but after being inserted as a pinch hitter last week after it was made clear by TLR/staff before the game that he was unavailable, Rasmus stated that he didn’t know why he was thrust in the game, dropping a lovely, “I just work here,” line. The word ‘entitlement’ was dropped about things like that, and I think I’m starting to agree. Please please PLEASE, do not let me start seeing mentions of Colby faking injuries while trying to get out of the lineup. I don’t want that at all. The opinions are out there. Some argue Colby would be better off with a different manager and consistent playing time. Others think he needs to be sent packing via trade in the offseason. Honestly? Right now I just want him to get healthy and play. He needs to play like he knows how, and do the things he does well. He has yet to arrive in the bigs. His numbers are good-not-great, and he has the potential to be great. Another thing – Colby, quit waiting for Tony to pat you on the head. It will not happen. Brendan figured it out, and he is finally playing better. Affirmation rocks, but Tony doesn’t give it. But whatever happens, please do not turn into another JD Drew. Thanks to friend of the CDD Bob for bouncing this idea around with me yesterday afternoon. He definitely helped me get the dots connected for this piece. If you haven’t read Bob’s stuff, head over here to his blog, or look for his premiere post on i70baseball.com tomorrow! Also, if you want a second opinion on this subject, azruavatar has a different perspective over on Viva El Birdos… link here! Dan Moore also takes a crack at the top five TLR Clubhouse Rifts… not pretty. In sweeping the Reds, the Cardinals provided the heroics and dominated the villainous antics of the Reds to take a one-game lead in the NL Central. The series featured a familiar cast for anyone who’s read Buzz Bissinger’s classic “Three Nights in August”: Tony La Russa, Dusty Baker, Albert Pujols, Scott Rolen and Jim Edmonds. 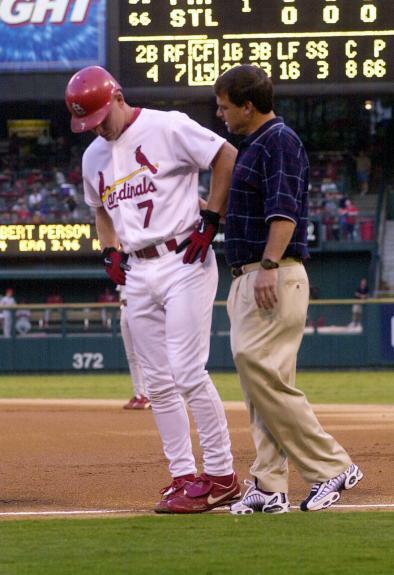 Yet the drama and intrigue provided during these two nights and an afternoon went far beyond anything that happened during that pivotal August 2003 Cubs-Cardinals series. Of course the main antagonist is well known by now: Brandon Phillips. The desperate-for-attention statements he made Monday provided him with the media attention he apparently craved, but also united the Cardinals as a team in a way we haven’t seen all season. Yes, the Cards have played with spark and energy at times – such as in April and during July’s eight-game winning streak – but these three games were different and more intense, particularly when they discovered what Phillips had said about them. Yet even before the Cards knew how they’d been disparaged, they were on a mission during Monday night’s game when the combination of scoring seven runs in the fourth inning and Chris Carpenter’s pitching brought them victory. Tuesday night, Yadier Molina played like a true Cardinal: standing up to Phillips’ shallow attempt to play nice after his words were blasted everywhere, and then hitting his most memorable home run since game seven of the 2006 NLCS. (The fact that Reds fans booed him the rest of the series, just like Mets fans still boo him today, proves how monumental the homer really was.) Jaime Garcia was able to rise above the literal fray that happened as he was ready to pitch and provided a solid performance that led the Cardinals into a tie for first place. 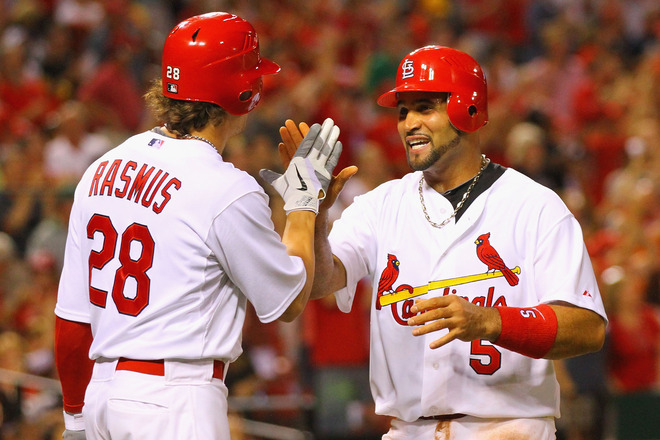 Yesterday the Cardinals completed their statement to the Reds and moved to a season-high 15 games over .500, thanks especially to birthday boy Colby Rasmus and Adam Wainwright. Waino further enhanced his Cy Young qualifications, moving into a tie with Ubaldo Jimenez for the league lead in wins with 17 and lowering his ERA to 1.99 (just above current leader Josh Johnson’s 1.97). His numbers for this month are astounding: three wins, one earned run allowed in 23 innings pitched for a minuscule ERA of 0.39, one complete game shutout (and he was certainly on track for another yesterday until the rain came). And those are only through Aug. 11! His numbers weren’t the only impressive ones of the sweep. 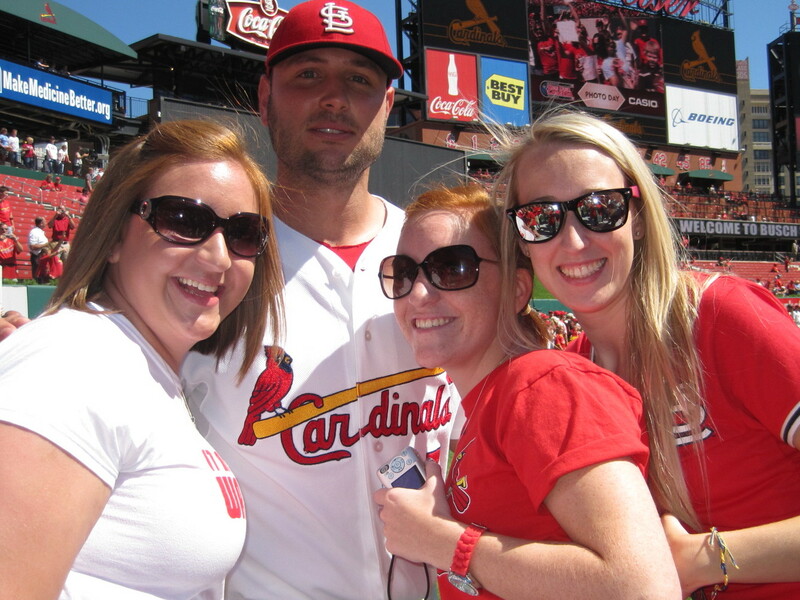 Matt Holliday hit .636 (7 for 11) during the three games and had four RBI. 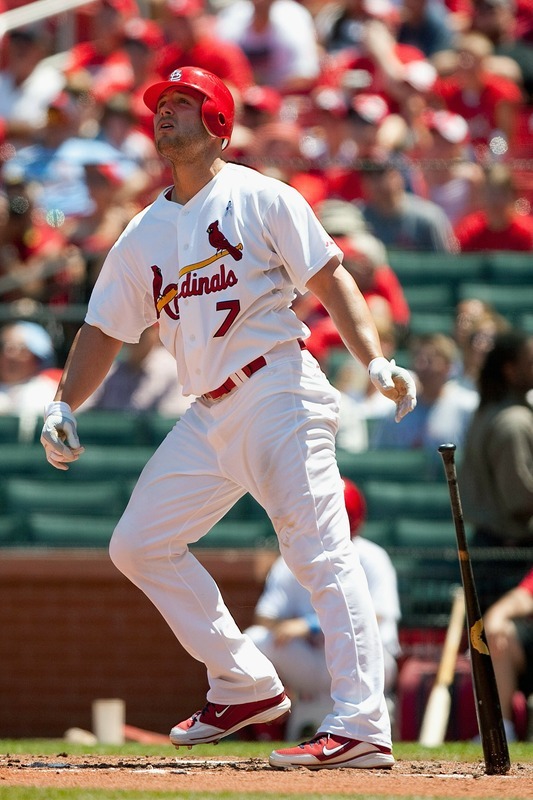 Including his Monday grand slam, Skip Schumaker hit .455 and had five RBI. Colby drove in six runs during the series. 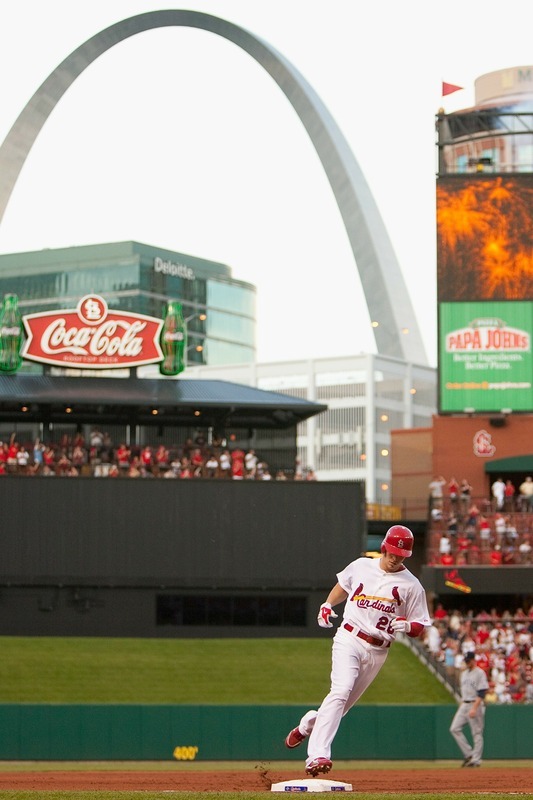 Yadi hit .417 for the three games, plus had a stolen base on Tuesday in addition to his homer. Jon Jay hit .385. Albert only hit .274, but his four walks definitely had an impact (particularly the intentional ones). Pitching-wise, the bullpen bounced back from last week’s struggles and turned in admirable performances. Fernando Salas especially deserves mention for his 1.2 innings pitched Tuesday night. It was, by far, the series of the season. 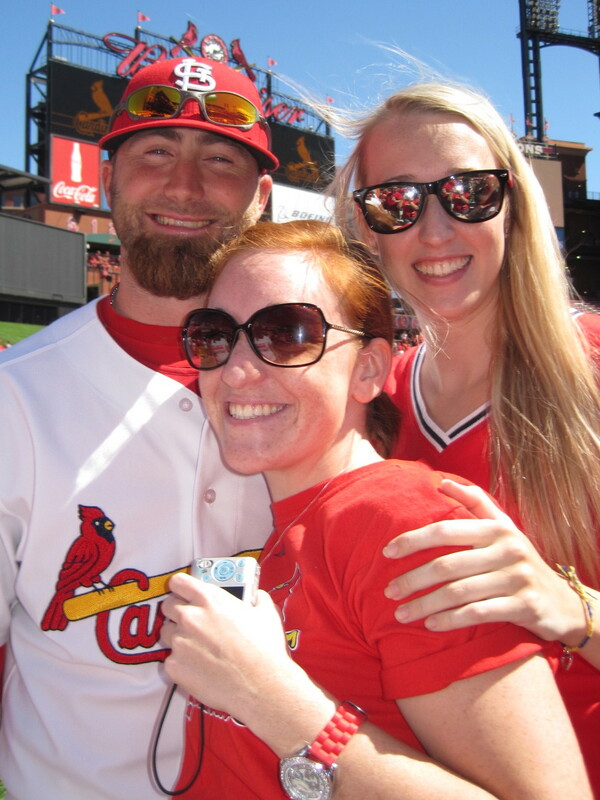 Now, after a 4-1 road trip, the Cardinals return home and enjoy a day off today. Fittingly, after such an impressive sweep, they take on the Cubs this weekend for one night and two afternoons in August. (How can this really be the Cubs first time in St. Louis this season?) With Chicago currently in fifth place, the action won’t necessarily be as important as that August 2003 series – but it is still the Cubs vs. Cardinals, after all. And that always means something. Thanks to Twitter, Erika and I discovered we are not alone in our fascination with the now clean-cut Jason LaRue. His pre-game interview on Fox Sports Midwest to discuss his battle wounds from Johnny Cueto’s unbelievable form of fighting drew plenty of complimentary tweets yesterday morning. (There’s something rugged about seeing those stitches on his lip too, right? In addition to that scruff …) Hopefully Jason will be healed up very soon and, more importantly, hopefully Cueto gets the punishment from MLB that he definitely deserves. If you didn’t have the chance to see Jason’s interview, it’s available here. 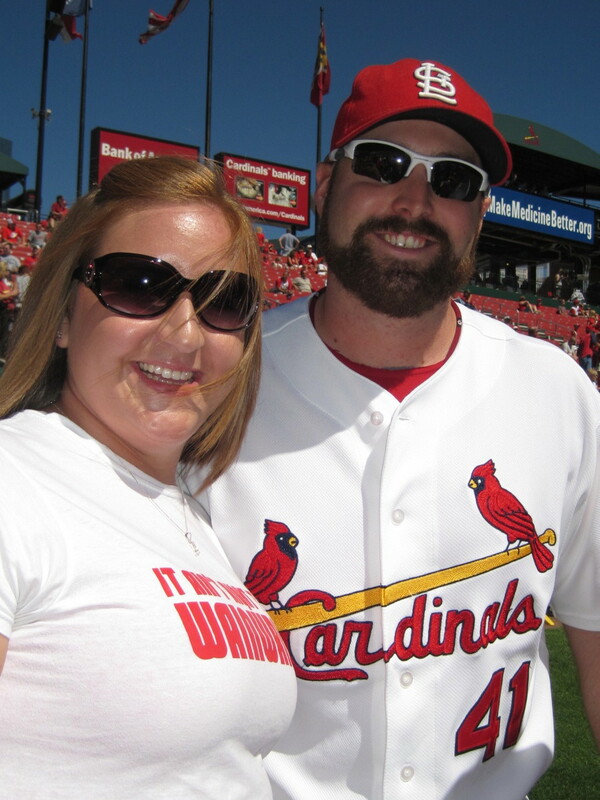 In addition, the dugout shots of Jason and his fellow wounded warrior Chris Carpenter sitting side by side Tuesday night were great. When Dan McLaughlin mentioned that the two had just been shown on the kiss-cam at Great American Ballpark and Carp obliged by kissing his pal on the cheek, my immediate reaction on Twitter was where’s the footage of that? My sentiments were not unique, I was happy to find out, although we unfortunately never did see video or a photo of the moment. And I wonder how the camera operator in Cincinnati felt following the kiss? 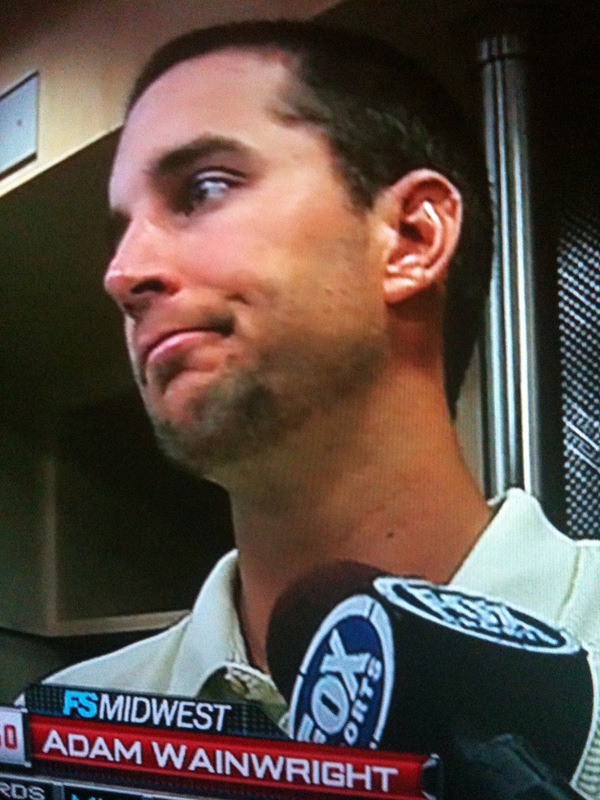 My guess is that person purposely chose Carp in hopes of getting some negative reaction from our fiery ace. 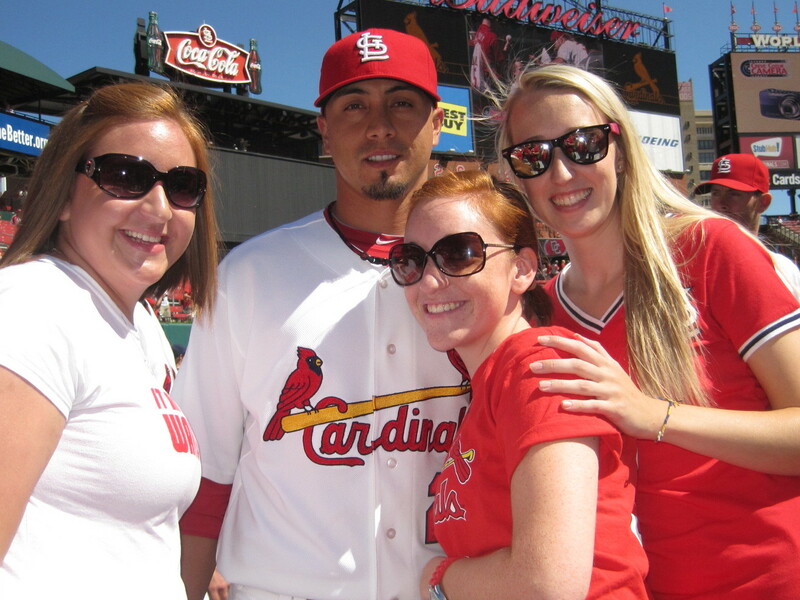 So way to go, Chris, for smooching your buddy and showing your softer side to the Reds crowd. Your intensity not surprisingly returned when you were discussing the fight following the game (you can see his reaction on the Fox Midwest link also), and we once again saw the literal and figurative hot Carp who we love. 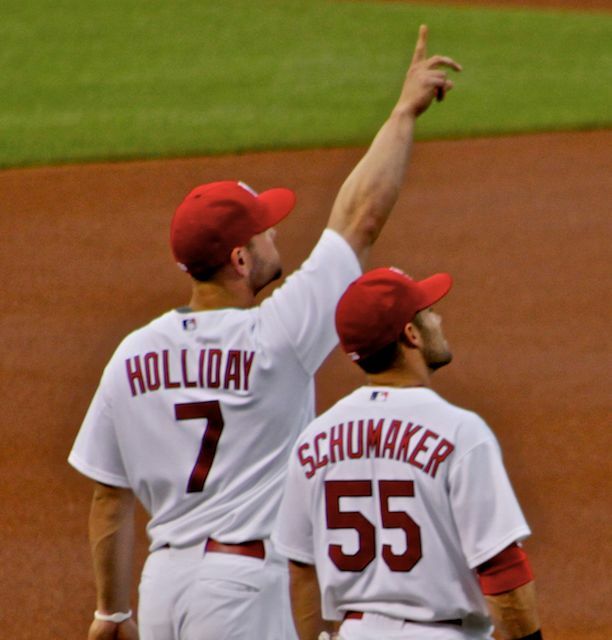 For the Cardinals, June was the best of times: last Tuesday’s 8-0 romp over the Diamondbacks when Albert hit two homers, Adam Wainwright’s two-hit complete game shutout over the Brewers (also an 8-0 win) and Matt Holliday’s resurgence when he was moved to No. 2 in the batting order. June also was the worst of times: that horrendously long loss to the D-Backs on Wednesday when they left 14 men on base, the sweep by the Dodgers in Los Angeles and a season-high four-game losing streak. 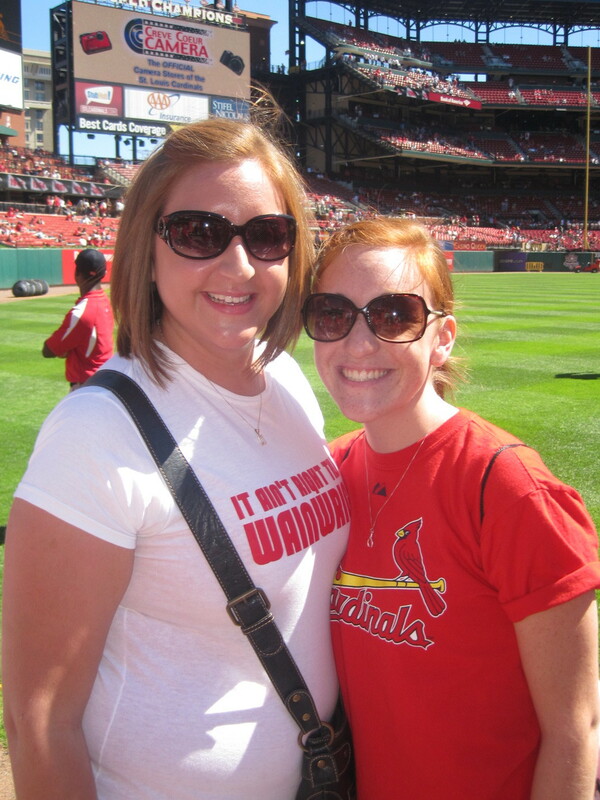 But, in the end, the month was perfectly mediocre as the Cards went 13-13. They also basically ended the month where they started in the division race, going from 1 game back on June 1 to a half-game back on June 30. In between, they were in first place for 15 days and even up by as much as 1 ½ games over the Reds June 19-20. On the plus side, mediocre May and June are exactly what the Cardinals had in 2009 as well – they went 25-31 for those two months yet managed to win 91 games and the National League Central. 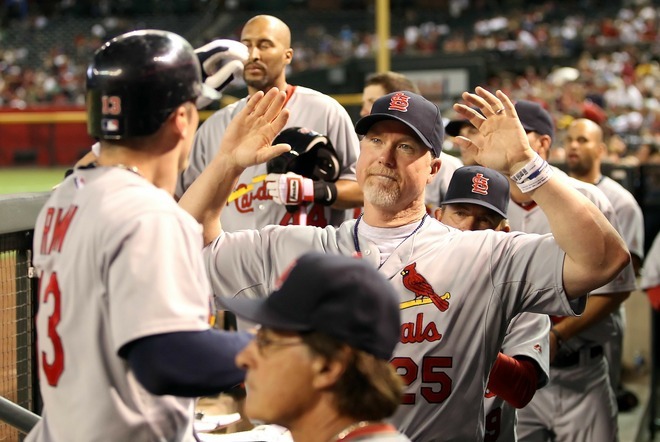 What the 2010 Cardinals need to keep the rollercoaster climbing up is one thing: consistent offense. Of course it doesn’t help that David Freese and Ryan Ludwick missed time with injuries (and now will both be on the disabled list in July). But the pitchers are still more than getting their jobs done. 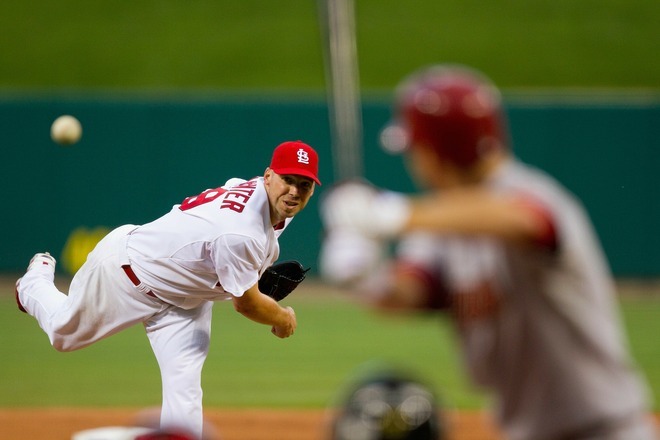 Ending June, the Cards’ overall team pitching was still second in the Major Leagues behind San Diego. The overall ERA increased to 3.24 (although the Padres’ ERA has increased as well) and the Cards’ team WHIP was 1.26 (tied for third-best in the Majors). The Big Three starters all still remain in the NL’s top 10 in ERA, with Adam Wainwright second in wins and Chris Carpenter tied for fourth. But pitching alone, as we’ve witnessed too many times, doesn’t win games. Here’s a closer look at who did what in June. Should it be a surprise when a guy finally does what he should have been doing all along? Yet Hunky Holliday finally got going, hitting .302 and slugging .583 for the month, with 6 homers and 16 RBI (the most he’s hit of both in a month this season). Hitting second for 10 games was the spark he needed and helped earn him NL Player of the Week honors for June 14-21. Skip just keeps improving offensively, batting .311 for the month with one homer (which I saw in person in Kansas City last Saturday) and 6 RBI. Colby led the team in both homers with 9 and RBI with 19 for June. Now, if he can just stay consistent too. He also briefly had the longest home run in the Major Leagues this year last Sunday, hitting a 483-foot blast in Kansas City. According to the Fox Sports Midwest broadcast on June 29, Colby held the record for 3 hours and 29 minutes – until Josh Hamilton hit one 485 feet. Yadi did not have a good June, hitting only .183 with 1 homer and 2 RBI. 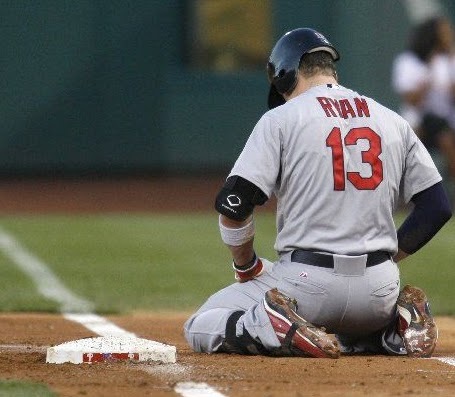 And so far, July is not off to a much better start – he was robbed of what should have been two hits on Thursday with outstanding catches by Jim Edmonds (doesn’t Jim remember that he wouldn’t have a World Series ring without Yadi?) and Corey Hart, and is hitless for the two games this month. That terrific May that earned Reyes last month’s biggest surprise certainly didn’t carry over. He allowed two earned runs a game in three of his first four appearances of the month and was the losing pitcher on June 1. His ERA for the month was 12.46. As the leader of the Cardinals Big Three, Carpenter went 3-0 with 2.30 ERA for the month. Interestingly, he was involved in both 1-0 games that the Cardinals played in June. He received no decision on June 8, pitching 7 shutout innings, and was the winner on June 23 against Toronto, where he pitched 8 obviously shutout innings against his former team. In 11 innings pitched for the month, he struck out 13 and allowed 2 earned runs. He’s a reliable presence, and also an entertaining one with his on-the-mound antics. He had 5 saves for the month, with one rough outing where he was removed and Motte got the save instead. That blip aside, he only allowed one earned run in eight other appearances for the month. Adam Wainwright has his first career complete-game shutout, allowing 2 hits and striking out 8 while throwing only 103 pitches. On offense, it was obviously a night where everything was working: Colby was 2 for 3 with a homer and 2 RBI, Albert and Ludwick each drove in 2, and Holliday and Felipe Lopez each drove in 1. Just like in May, there were plenty to choose from – including five losses when the Cards could have swept. But I’ll pick this one. I was listening on the radio to the Royals broadcast of the game while driving across Iowa. The Cardinals had so many chances in the first two innings, having the bases loaded twice in the first inning and two runners on in the second, yet only managed one run. The Royals announcer even commented on the Cardinals troubles getting things going with runners in scoring position. Add to those troubles Jaime Garcia’s worst outing of the year and it’s a game to forget – even if both Albert and Colby homered. Actually, let’s hope for a little more consistency this month from everyone – even though the Cardinals are off to a 1-1 start in July. It also will be interesting to see how many of the Cardinals spend their All-Star break on the “beach” in Anaheim with Albert. Wainwright? Carpenter? Jaime? Yadi? Holliday? Photo Thursday is here again! First, a video that Fox Sports Midwest posted yesterday in honor of Mark Mulder’s retirement and Jeff Suppan’s Cardinals return. 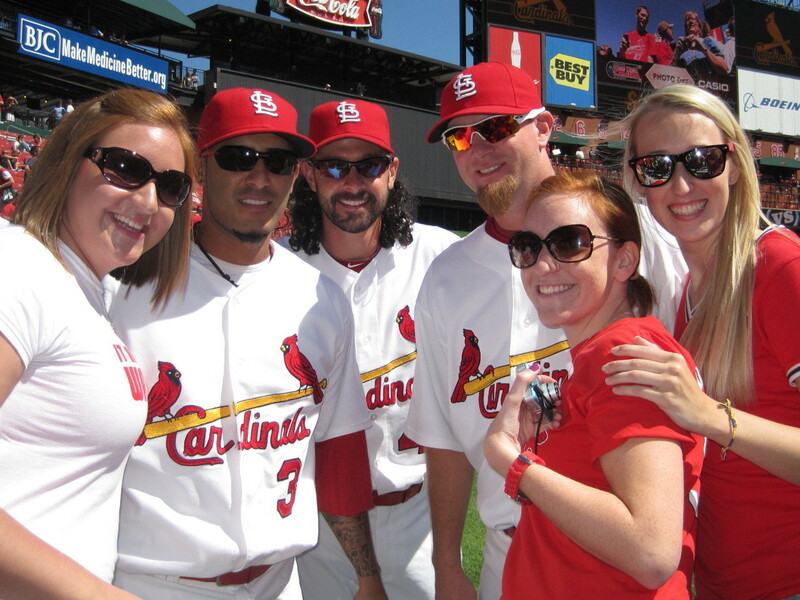 It’s a blast from the past – all the way back to 2006 – and features those two plus Adam Wainwright and Chris Carpenter on a golf outing. (So how can it not be enjoyable to watch?) Mark, best wishes on your retirement and good luck on your new golf career. Had our blog been around in 2005, you definitely would have been featured regularly! Colby JACK, with a scenic view. 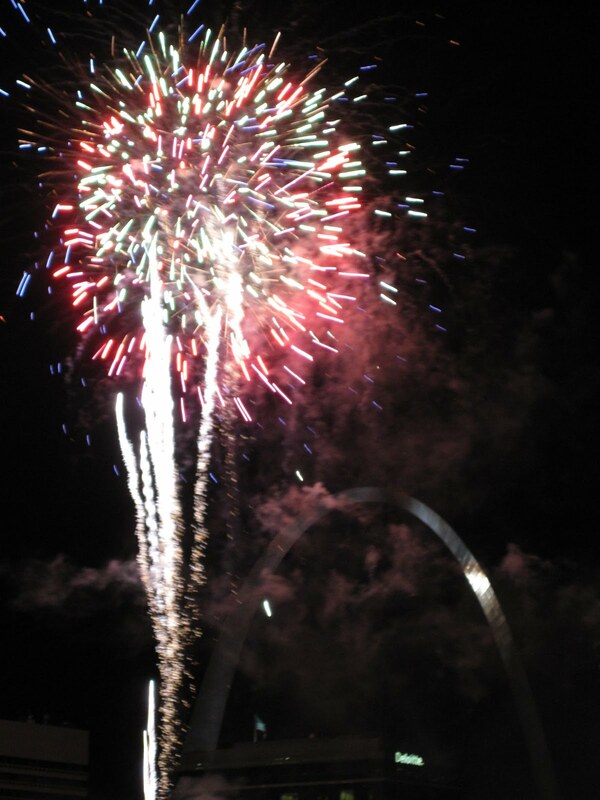 We love St. Louis! More amusing: whatever’s in Luddy’s mouth, or Yahoo! thinking this is Ryan Franklin? We like that Albert hasn’t lost his Little League tongue-sticking-out focus, or using both hands to get that grounder! Brendan hit a homer? Really? We mean, YAY! Brendan hit a homer! 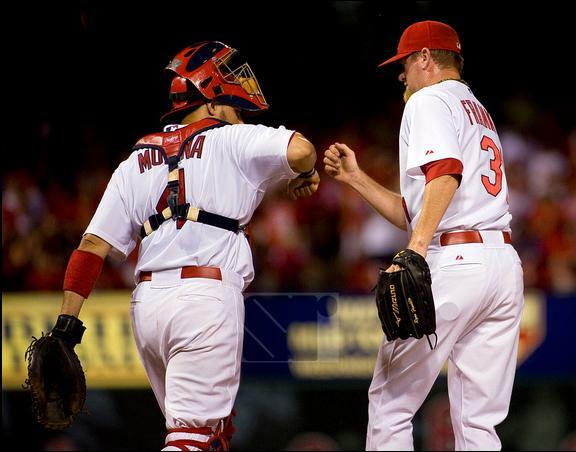 So is this a fist bump … or a stiff arm by Yadi? We can’t really tell. 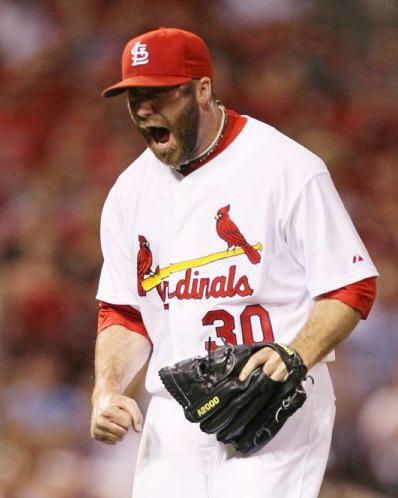 Admit it – Motte is a beast. 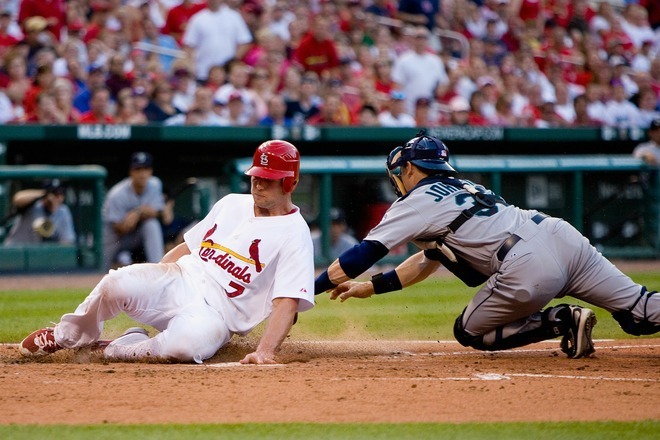 Whether it’s the new batting order, playing the Seattle Mariners or enthusiasm over Jeff Suppan rejoining the team (ha), the Cardinals have definitely found a much needed spark during the last two games. And, after a 1-5 road trip where the offense mostly continued to struggle, some energy was welcome. As we know, Tony La Russa changed the batting order a bit for Monday’s game by moving Matt Holliday to second, Ryan Ludwick to cleanup, the pitcher to eighth and Brendan Ryan ninth. 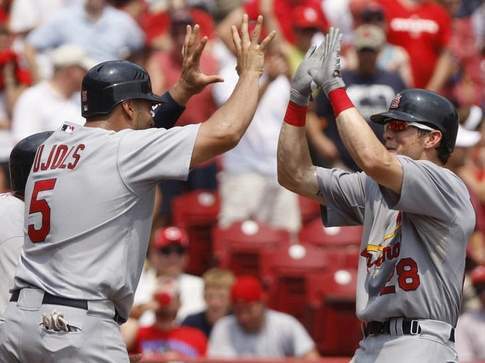 The move paid off that night: Holliday had 2 hits and a walk, Albert was 3 for 3 with 2 walks, Ludwick was 2 for 4 with a homer and 4 RBI, and Brendan was 2 for 4 and the Cardinals won 9 to 3. Instant success! But one game does not a resurgence make. Would that momentum continue on Tuesday? Especially since momentum, as Earl Weaver famously said, is the next day’s starting pitcher – who, of course, was Jeff Suppan. Would the sunshine and flowers remain? Well, sort of. 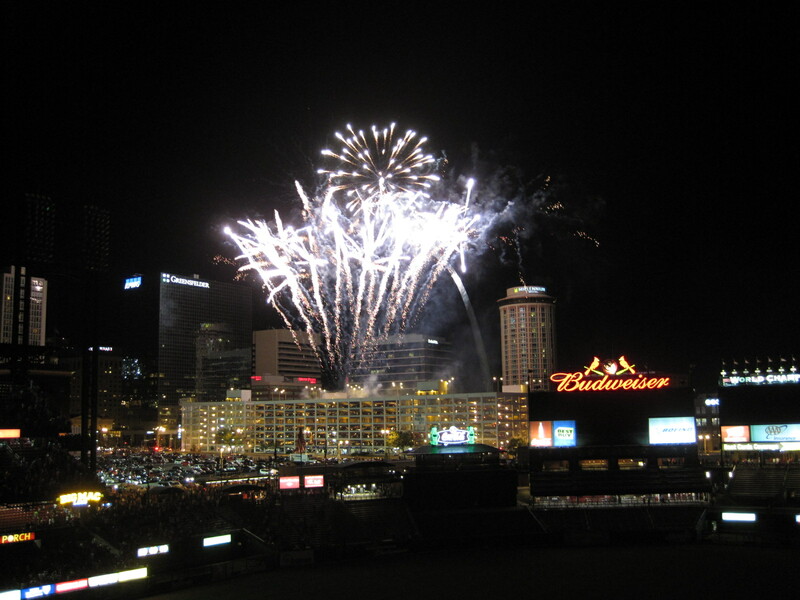 Happily, the Cardinals won 4-2. Much to the chagrin of those predicting the apocalypse with his start, Suppan did a decent job. He pitched 4 innings and allowed 1 run on a homer by Milton Bradley, 3 other hits, struck out 4 (consecutively!) and walked 2. 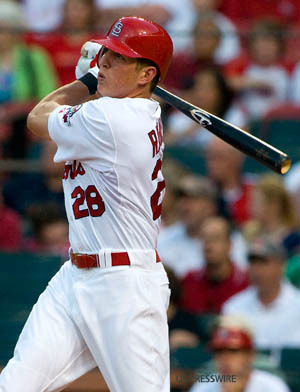 And he even hit a 2-out double and scored the Cardinals 3rd run in the 4th inning. As for the new look lineup, both Holliday and Ludwick were hitless while Brendan went 2 for 3. Although not in a new lineup spot, Colby Rasmus has homered both nights. In fact, he’s having a terrific month offensively: hitting .410/.465/.923 in June with 6 homers and 13 RBI thus far while seeming to receive far less attention than new lineups and team additions.